Your Backflow NEEDS To Be Tested Every Year! A backflow is designed to only allow water to flow in one direction. Why would such a thing be necessary you may ask? Well, let’s just say contaminated water flowing back into your home is not something anyone would choose to happen to them! It makes sense to make sure the component which enables this to not happen is in proper working order. The test is mandated by the State of Illinois. American National Sprinkler and Lighting has state certified professional plumbers on staff to certify and make sure your backflow is in good working order keeping you in compliance with state and local regulationsIn addition, giving your family peace of mind that your house water is safe. Backflow Test - One of our state licensed plumbers will test your backflow device with an approved and calibrated gauge to assure compliance with government standards. We then submit a copy of your test to the county or municipality you reside in. Have you tested your Backflow yet? If not, it's time! The State of Illinois requires annual testing to insure your safety by protecting drinking water from harmful toxins such as: fertilizers, weed killers, fire protection chemicals and many more household products. We are Chicagoland's Backflow Prevention Company dedicated to service all your backflow prevention needs; including testing, certification, service and maintenance. We are recognized by suburban water purveyors as a qualified testing company. 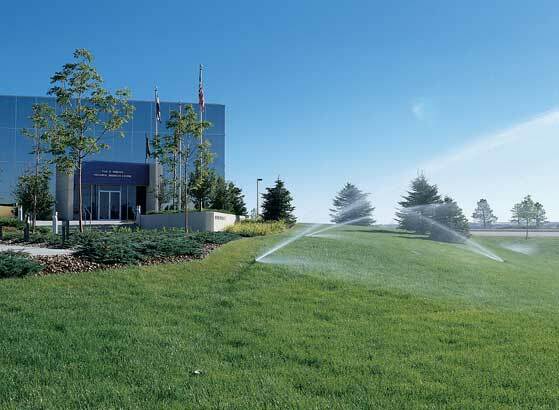 American National Sprinkler & Lighting has the experience and ability to manage all sizes and models of backflow prevention assemblies that are manufactured for all types of water distribution systems. American National's Dedicated Staff: We currently service customers in over 50 suburbs and Chicago. Our streamlined service allows our pricing to be extremely competitive while providing a prompt response time. Top grade test equipment calibrated yearly. A fully stocked inventory of repair parts. Licensed technicians that are up to date on all backflow regulations and specifications. The City you live in CAN shut off your water! We Do it Better: Our customized computer system will track inspection dates for you while maintaining a history of all services performed. This helps ensure you are in compliance with local water and building departments, as well as the State of Illinois. You know your results: After completing our tests, we leave a copy of the results on the device to prove the testing has taken place for all authorities. After completion of the test we mail the results to the appropriate authority to make sure your record is kept on file. The cost for this service is $85.00. This includes tagging the device with a certification report and sending a copy to your city and/or filing company. Please note, some cities charge a filing fee per test. If you test 2 or more backflows (at the same location) the cost will be $80.00 per test. (plus filing fee if applicable). The test is not completed when your sprinkler system is opened. A plumber will return on a different day to certify and tag the device. You do not need to be home unless your device is inside. We will then schedule an appointment. An invoice will be sent once the test has been completed. Please note, if you move before the test has been completed, you must call 847.566.0099 to cancel or you will be responsible for the bill.